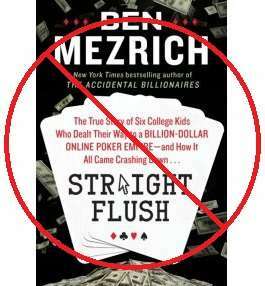 Understanding the depths of authorial fraud committed by Ben Mezrich in his latest book, Straight Flush, requires nothing more complex than a simple comparison of the story as Mezrich tells it against the facts as they actually occurred. One of the key elements to the Absolute Poker story is a plane crash that occurred at Costa Rica’s Juan Santamaria Airport on September 3, 2007. Onboard the small Sabreliner jet, which SAE fratboy Hilt Tatum IV had rented and brought over from Panama, were Hilt and his new wife, Scott Tom and his pregnant girlfriend, and the jet’s pilot and co-pilot. None were seriously injured, and the Tatums and Toms hopped a different plane the following day and continued on with their planned trip to Antigua and other Caribbean islands. The plane crash will figure in again in this expose’s Part 5, “The Scandal Timeline Falsification,” adding even more proof to how intentional and fraudulent Mezrich’s latest work really is. In the days after it occurred, anecdotes quickly surfaced on numerous poker and sportsbook forums that Tatum’s and Tom’s luggage, abandoned as they fled the fire threat at the plane crash scene, included a duffel bag containing $2-3 million and an unknown quantity of drugs. By the time they were released from the hospital — more a precautionary stay than due to the severity of their cuts and bruises — word of the accident had already made it onto a variety of online local and international news site and was rapidly spreading through the blogs. Scott’s phone was gone, lost somewhere in the wreckage, which was now entirely presided over by agents from the FAA, since it had been an American-built airplane. They had to use Hilt’s phone to check in with everyone to tell them that they were okay. By the second person they called, they realized that the story, spreading electronically at first, but eventually into newspapers as well, was turning into something out of a Hollywood thriller. Scott shook his head, bewildered. He was watching an urban legend generating right in front of him, and there was nothing he could do about it. What the hell — it was just too perfect to fight. A high-flying American cowboy from Montana, fleeing Costa Rica to Colombia with millions of dollars and mountains of coke. In 2007, a small private plane had a minor accident during takeoff at Costa Rica’s Juan Santamaría International Airport. While investigating the accident, airport officials stumbled upon something unusual. Inside the plane authorities found a bag containing $3 million in cash. The plane was headed for Colombia, and one of its passengers was Scott Tom, owner of the online gambling website Absolute Poker. One of the world’s more popular online gambling sites, Absolute Poker was based at a non-descript office building in Rohrmoser, west of San José, under the name Innovative Data Solutions (IDS). The multi-million dollar discovery prompted the Public Prosecutor’s Office to begin monitoring Tom, who investigators suspected of laundering money earned from U.S. poker players and dispersing it into bank accounts throughout the world. But Hernández said the Prosecutor’s Office couldn’t verify the money’s source. 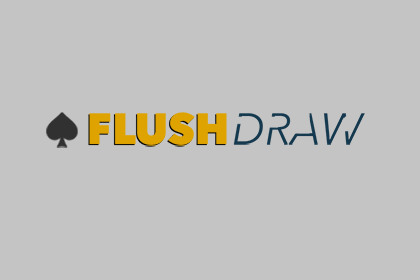 Four years later, and with a little help from the U.S. Federal Bureau of Investigation (FBI), the Prosecutor’s Office began to build a case that allegedly linked the funds to illegal online gambling operations. Investigators believed they had enough evidence that money laundering and bank fraud were occurring. The $3 million from the Sabreliner crash in 2007 was the key event that allowed Costa Rica’s OIJ agents to raid Scott Tom’s home and the AP offices in conjunction with the US’s 2011 Black Friday indictments. Mezrich didn’t mention that all at, and glosses over the raid on Tom (who had already gone on the lam) in a couple of brief sentences. In other words, the fratboys told lies to Mezrich, and Mezrich lied to his readers. So now you know. It’s not even close to debatable.